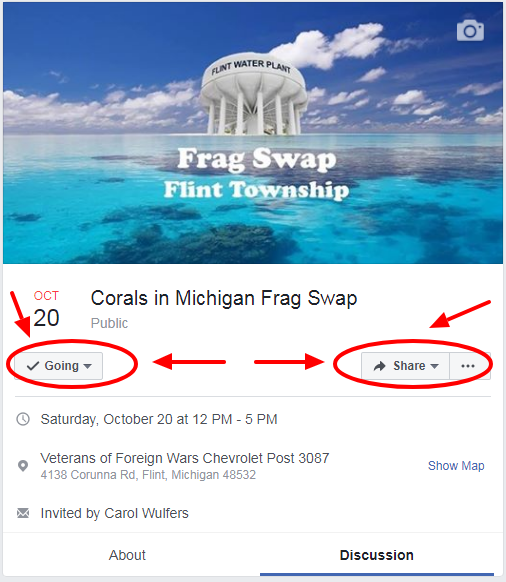 EVERYONE Please Remember to Mark "Going" or "Interested" on the Corals in Michigan Frag Swap (Flint, Michigan) Facebook Event Page. The Corals in Michigan Frag Swap (Flint, Michigan) is just 7 Weeks Away !!!!!!!! The Corals in Michigan Frag Swap (Flint, Michigan) is just 6 Weeks Away !!!!!!!! The Corals in Michigan Frag Swap (Flint, Michigan) is just 5 Weeks Away !!!!!!!! The Corals in Michigan Frag Swap (Flint, Michigan) is just 4 Weeks Away !!!!!!!! The Corals in Michigan Frag Swap (Flint, Michigan) is just 3 Weeks Away !!!!!!!! 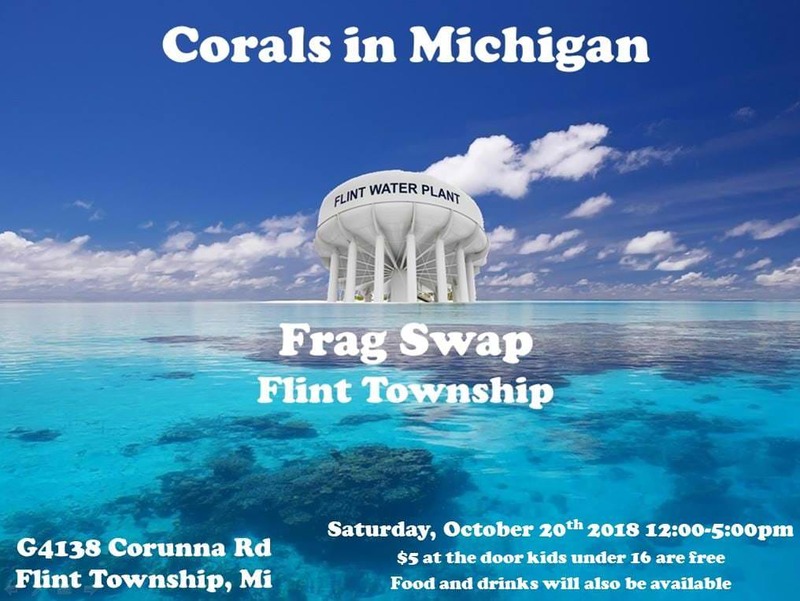 The Corals in Michigan Frag Swap (Flint, Michigan) is just 2 Weeks Away !!!!!!!! The Corals in Michigan Frag Swap (Flint, Michigan) is TOMORROW !!!!!!! Had a Great Time at the Corals in Michigan Frag Swap in Flint !!!! Big Thanks to Tom for Hosting the Show and Everyone Else that Helped Out.